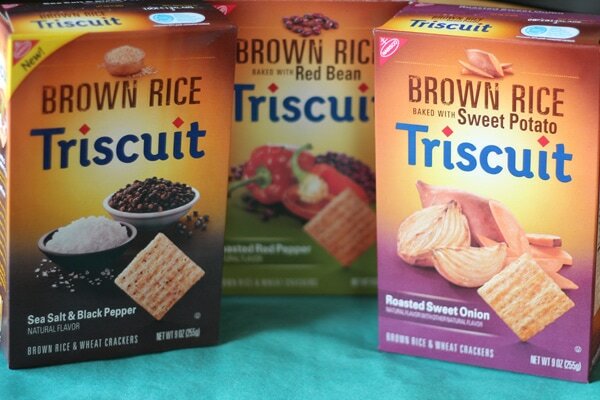 If you’ve ever stuck your nose in the cabinet and looked for a snack that gives you a little something more, then you need to try the new Brown Rice Triscuit line. I’ve enjoyed Triscuit crackers for years. They are the perfect addition to dips, cheese balls, and even to add toppings to. Triscuit crackers are known for being wheat crackers that are thick and flavorful. Recently, they’ve added brown rice to the wheat cracker and created a new line with real food ingredients, such as red beans and sweet potato. I had the opportunity to try these and they are delicious. Out of the three, it’s honestly hard to choose a favorite. I am a huge fan of sea salt and black pepper anything, so naturally I loved those, but I think that the roasted sweet onion baked with sweet potato went best with the dip that I made that day. The flavors of these crackers explode in your mouth. One thing I love about Triscuit crackers, and always have, is that I don’t feel like I have to continue eating forever in order to get full. They are a very wholesome snack and just a handful is honestly enough, which is perfect for me since I’m trying to lose a few pounds anyway. These crackers have no high-fructose corn syrup, hydrogenated oil, cholesterol, or artificial flavors. Because they do still contain wheat, they do not fit with a gluten-free diet. Triscuit has teamed up with Rocco DiSpirito to create some delicious topper ideas for these crackers. 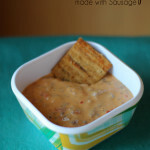 Please visit the Pinterest Board to see them all and get some ideas for topping your Triscuits. 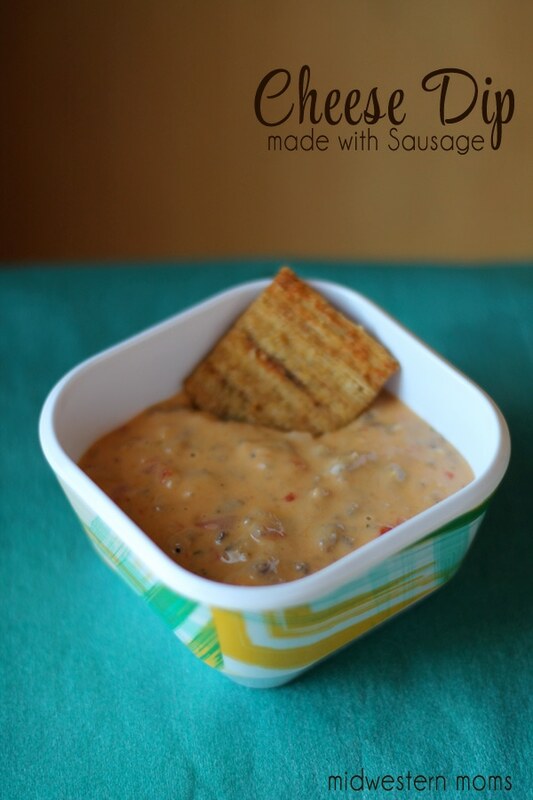 I created my own recipe to enjoy these crackers with, it’s a cheese dip made with Sausage and Diced Tomatoes that my family has grown to love. Put all ingredients above into a medium sized saucepan and heat on a medium stove setting until the cheese is melted. Continue stirring frequently so the cheese does not burn on the bottom of the pan. Remove from heat and serve immediately. Warning, the cheese will be very hot. I found that the Roasted Sweet Onion Brown Rice baked with Sweet Potato went best with this particular recipe. For more information about these crackers, please join Tricuit on their social media networks: Facebook, Twitter, Pinterest, and You Tube. Have you tasted these new crackers yet? What did you think?